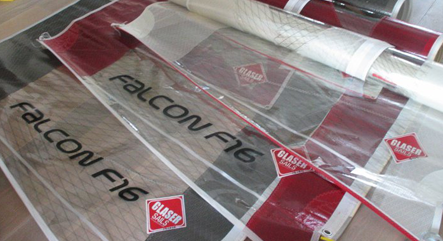 Give your personal touch to create YOUR Falcon. 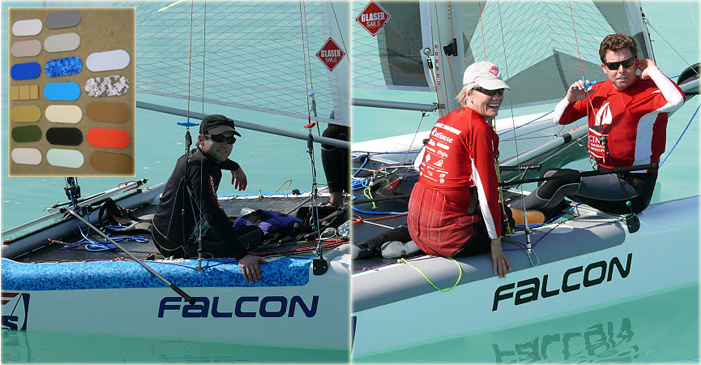 The Falcon is more than an ordinary catamaran, so you want to make sure it doesn't look like an ordinary one! We give you the possibility to create your own unique Falcon. 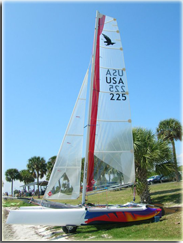 Choose color of mainsail, spinnaker, non skid or even hulls! A small thing that actually makes a big difference. Discover here how a small change, makes a big difference. Go for smoke or the optional white or red. Or be really unique and try every other color or combination of colors! Tired of red or blue? 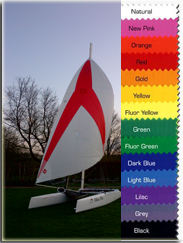 Standard choice of 14 different colors for your spinnaker gives you a free possibility personalize your boat. Soft EVO non skid lasts forever, doesn't wear on your gear and is super comfortable to sit! Furthermore you can choose from 19 colors and patterns for an immediate personal touch and recognisable boat. 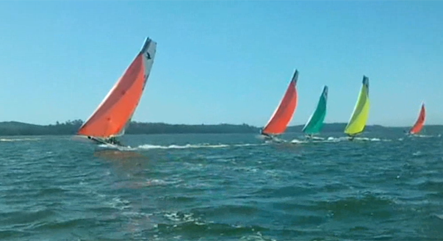 The ultimate in creating your own boat. Make it truly unique with a special paint job.